NetEnt is easily one of the world’s foremost provider of titles for the gaming industry. 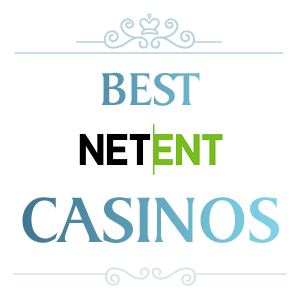 If you are looking for intuitive gameplay and one of the top no-download casinos out there, NetEnt-powered operators should be high up on your list. The company had an early start back in 1996 and has been around for long enough to fine-tune its offer and provide you with the most coveted features, even before you know you want them. Below are the most popular titles that NetEnt offers and why they are among the best options you can pick. We also examine some of the best operators that have decided to employ the software. Right off the bat, NetEnt casinos are predominantly popular in Europe and they are somewhat in the margins of the US gamers’ interest due to unfortunate legal limitations. Nevertheless, NetEnt has not been dissuaded to pursue the full monty, providing those operators who buy its software with an array of noteworthy features. Have you ever wondered what opting for this software would bring you? We seek to answer this question in a few simple steps. Security, a rich assortment of games and tailored bonus offers and promotions that will keep your fancy piqued are but a few of the options. With money on the table, knowing you can claim your earnings quickly and smoothly is important. Depending on where you are based, you will have a number of extra deposit options while the withdrawing ones will largely coincide. NetEnt has ensured that you can utilize the most trustworthy ways of cashing out you proceedings without having to worry about the money getting stuck in limbo. Of course, you will have to observe a few provisos, such as confirming your age & identity before wagering in earnest at any operator. Moreover, we need to warn you that in pursuit of riches, some gamers forget about the pesky and yet immensely helpful wagering requirements, which tell you when you can claim your bonus money. Very often, and especially if you are an inexperienced gamer, you may want to claw back the bonus amount you have just received as straight winnings, but alas, this is not possible as the money is handed to you as a way to bolster your war chest, not as free monetary rewards. NetEnt is a remarkable company. Having had a somewhat early start, it has managed to take hold in virtually every aspect of the gaming experience, from slots through card games and roulette. And the company has been quite proud of developing its own virtual reality offer for slots! The Slot RevolutionOne of the firm’s most notable characters, Gonzo’s Quest is currently a multi-channel offer that has also been adopted for the Virtual Reality (VR) market. Quite the achievement by all measures! You will be able to enjoy the slick cinematics, Gonzo’s audacious personality and a fair number of opportunities for monetary gain. Wild Wild West is another of the top selections NetEnt has to offer paired with the daredevils from Boom Brothers. Roulette – A Single Touch AwayThe company has developed an intuitive approach allowing players to easily place down a wager and compete against the house. The European Roulette developed by the company is one of the most popular options you can pick from. The devs have gone the extra mile adding helpful highlights, which elaborate hitherto unknown aspects of the game. Playing Cards with NetEntNetEnt has certainly some of the most memorable titles in the industries. Offering something to both the recreational player and professional. Apart from the classic iterations of games, such as poker, blackjack and baccarat, the firm has developed the famed Baccarat Pro Series for those of a particularly competitive turn of mind. With a whole bouquet of tempting options, you will be hard-pressed to find a software company that so readily caters to its customers. NetEnt games are better than most unestablished developers out there because the company manages to deliver on the promises it makes. Apart from that, they are engaging, easy to understand and rewarding, playing right to the needs of you, the customer. Equally, the firm has managed to create products of integrity. In other words, NetEnt’s titles coincide with the listed and audited return to player rates, which is important. You will be hard-pressed to find a glitch or a bug in any of the offers, including slot combos that do not trigger the designated bonus, for example. Put simply, The company’s done a sterling job of taking care of the fine details. Just when you thought that we have exhausted all the treats and goodies out there, NetEnt comes with a bunch of brilliant offers to propel you well along the lines of gaming. The company provides some of the most tempting bonuses. Or put another way, operators who opt for NetEnt always have quite the rewarding offers for you to snap up! You can choose from a range of offers, including the daily specials, welcome packages, full-blown tournaments, and weekly action and money-packed events. Pluck whatever you see fit and rest assured that you need never start without some extra money at a NetEnt operator. NetEnt is easily one of the world’s foremost provider of titles for the gaming industry. Below are the most popular titles that NetEnt offers and why they are among the best options you can pick.